After shampoo and tonic the third care step of our extra mild hair & scalp treatment. 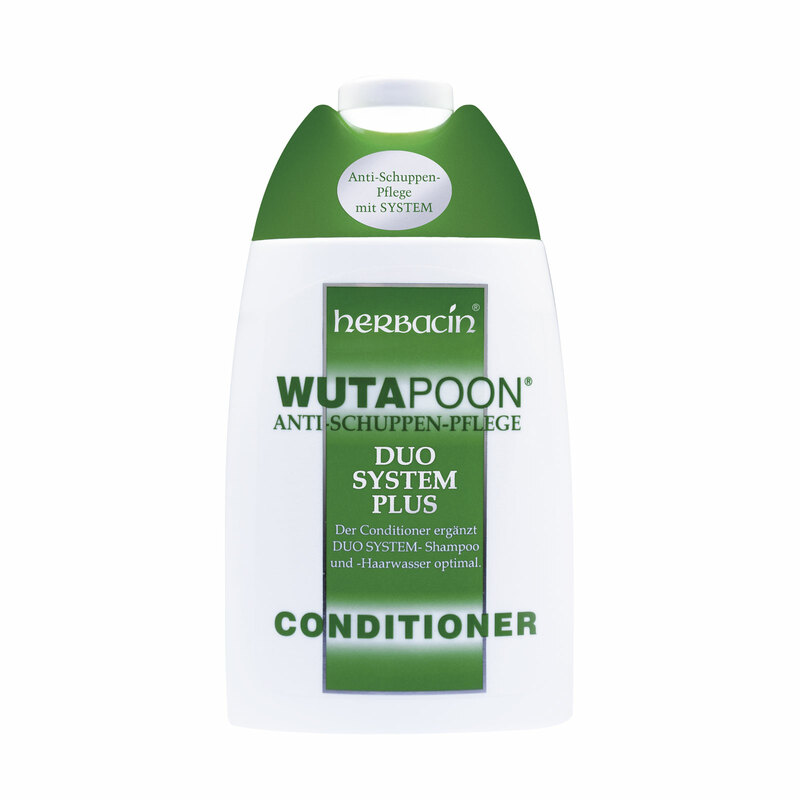 Wutapoon® Duo System Anti-Dandruff Conditioner for heavily stressed and damaged hair represents – after shampoo and lotion – the third step of our extra mild hair and scalp treatment. The conditioner with natural wheat bran proteins improves the hair structure, helps with static and gives your hair already from the very first application noticeably more volume, elasticity and a healthy glow.